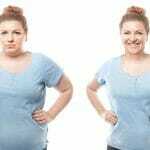 Gastric Bypass Surgery Cost | What Factors Impact Pricing? The cost of gastric bypass ranges from $18,000 to $35,000, depending on where you live. The good news is that, increasingly, insurance providers (including Medicare and, in some states, Medicaid) are offering policies that cover all or part of the cost if your doctor establishes medical necessity and if you meet the National Institutes of Health insurance requirements. Additional body contouring surgeries to remove excess skin, lift sagging body areas, improve loose muscles or treat fat deposits. Additional procedures may include a facelift, breast augmentation, breast lift, abdominoplasty, liposuction, gynecomastia surgery or labiaplasty surgery. Geography. The cost of gastric bypass is higher in urban areas, such as Boston and Los Angeles, because overhead is higher there, and surgeons are in greater demand in more densely populated areas. Your health plan. If your surgeon or hospital is an in-network provider. What does the cost include? 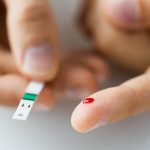 Some bariatric surgeons will quote one all-encompassing price, while others will quote the cost of surgery only, not taking into account pre-op tests or hospital charges. Will my insurance cover all or part of the procedure? 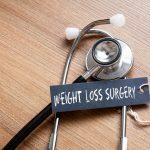 Will my insurance cover any complications or additional operations after gastric bypass surgery? Do you offer patient financing plans to help with cost?